Problem with Bangla Font ? মিথ্যে লিখে গিয়েছো কেন ? This entry was posted in জয় গোস্বামী and tagged aj jodi amake joggesh koro, আজ যদি আমাকে জিগ্যেস করো, কবিতার খাতা, জয় গোস্বামী, প্রিয় কবিতা, বাংলা কবিতা, bangla kobita, joy gossami, joy goswami, Kobitar Khata, priyo kobita by নীলাদ্রি. Bookmark the permalink. 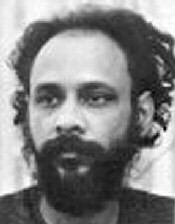 I was not a fan ot Yoy, but I have enjoy….. moreover He is Joy Goswamy. Thanks a lot. And ever green bangla kobita. Tapas.Bangalore.